Dionne McGee is a trial attorney who handles both civil and criminal matters. She is a persuasive litigator and works hard to provide her clients with excellent representation. 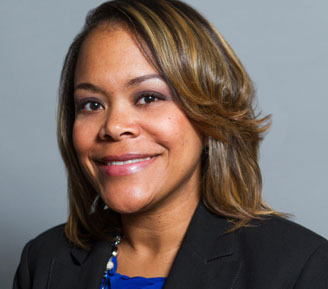 Dionne began her legal career as a law clerk working in two law firms in Athens and Atlanta assisting with personal injury, criminal defense, and family law matters. She later joined the Fulton County District Attorney’s Office as an intern in the Major Narcotics Unit and the White Collar Crime Unit. After passing the bar, Dionne began her work in prosecution as an Assistant Solicitor-General in the City of Atlanta. She took a brief hiatus from prosecution in 2005 and was hired as the Executive Director of Legal Services for the State Personnel Administration. She was later promoted to Assistant Commissioner. In this role, Dionne supervised a team of human resource professionals, negotiated and drafted contracts, and served as a legislative liaison for the agency. Prior to starting her own law firm, Dionne worked as a Senior Assistant Solicitor-General in DeKalb County. As a former prosecutor, she litigated and negotiated pleas on thousands of cases involving DUI, Drug Offenses, Vehicular Homicides, Domestic Violence and many other criminal offenses. She was the lead prosecutor of a division, which included sitting as first chair during trials, along with training attorneys and investigators. Dionne volunteers her time in numerous leadership roles in the community and through the bar. She has widely participated in outreach programs to aid in improving public safety and enhancing the quality of life. Dionne is held in high regard as a competent professional and is highly respected by her peers. Dionne McGee is a proud native of Stone Mountain, Georgia. She attended the University of Georgia on an academic scholarship. She was involved in a number of organizations, including Student Judiciary and served as president of the Eta Xi Chapter of Alpha Kappa Alpha Sorority, Inc. In 1996, Dionne graduated with a Bachelor of Arts Degree in Criminal Justice. Dionne returned home to attend John Marshall Law School in Atlanta. While at John Marshall, she was elected president of the Black Law Students Association, and was chosen to compete in the Frederick Douglas Moot Competition. Dionne received her law degree and was admitted to the practice of law in 2000. She is admitted to practice through the State Bar of Georgia, Court of Appeals of Georgia, Supreme Court of Georgia, and the United States Supreme Court.